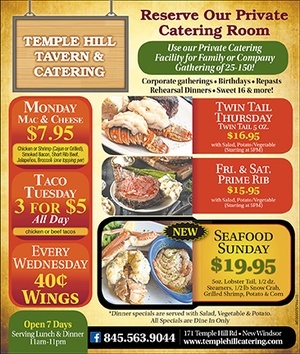 At Temple Hill Tavern & Catering, we help you make the most of your special occasions. Located in the heart of New Windsor, Temple Hill offers a beautiful yet casual neighborhood meeting-place. 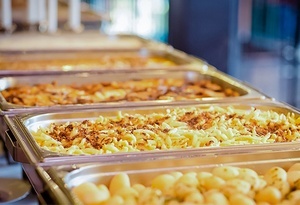 Whether you’re searching for a unique event venue or a place to enjoy a mouthwatering meal and cocktail, Temple Hill Tavern & Catering always delivers. Designed by owners Mark Mallia and Paul Aceto, Temple Hill brings together a trio of concepts under one roof. Along with an aesthetically pleasing catering hall built to hold 150, the facility offers a full-service dining room as well as a bar featuring craft cocktails and artisanal wines. 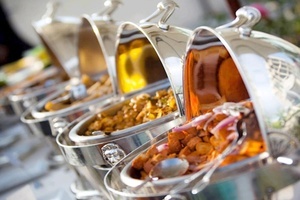 Our catering facility has a separate entrance, dedicated restrooms and parking lot for over 100 cars. Best of all, all of our foods and drinks are prepared fresh for hungry locals to enjoy. 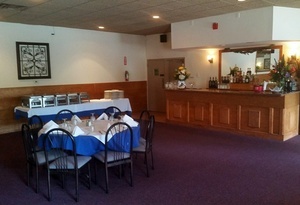 Stop in for a bite or call today to plan your next wedding or event. Looking for a creative setting for your next wedding or special event?  At Temple Hill Tavern, we offer the winning combination of expert catering and a unique event venue to make all your special celebrations unforgettable. 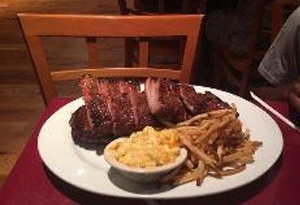 At Temple Hill, our menu offerings are second to none. 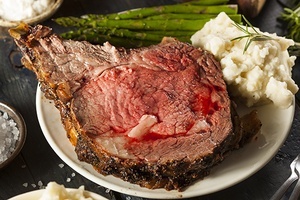 Whether you’re planning an intimate celebration or a raucous dinner with family and friends, Temple Hill Tavern is sure to please. Contact Us! Tired of the same old beers and mixed drinks? Temple Hill offers a wide and exciting selection of local beers, craft cocktails, and artisanal wines. 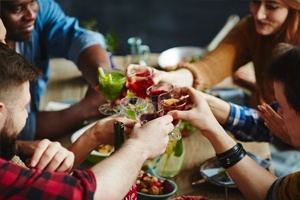 Have a drink with dinner or stop in to enjoy Happy Hour with your friends and colleagues.